The DHF Annual Lecture is given each year in January by a prominent scholar specialising in Deccan history, art and architecture at a venue in Mumbai, Hyderabad and Bangalore. The 2018 lectures were delivered by three experts in Deccani culture in January. 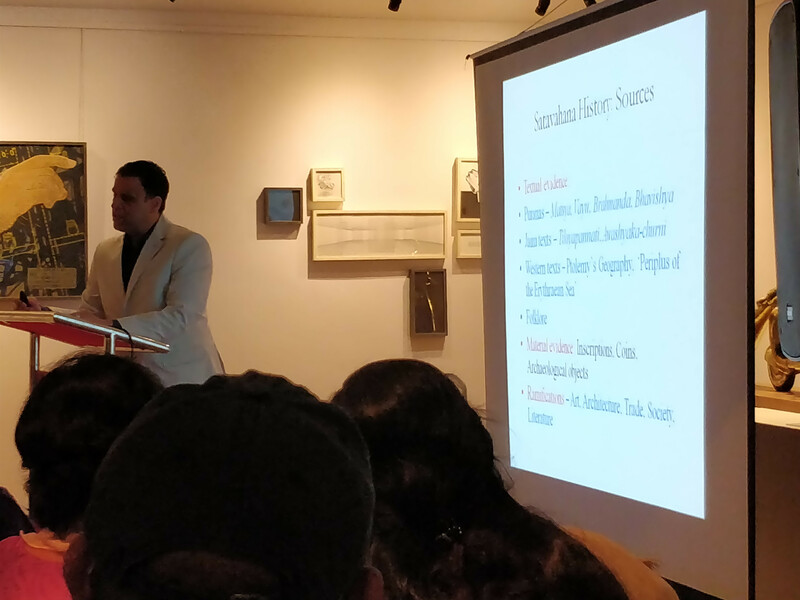 In Mumbai, Prof. Ahmet Karamustafa delivered a lecture on the Libertine Sufis, God's Unruly Friends: Libertine Sufis in Historical Perspective. 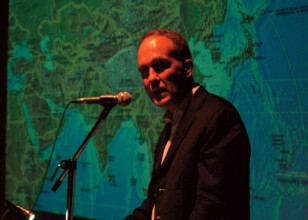 William Kwiatkowski delivered a talk on the Shahnamah in Bangalore, Iranian Inspiration: Firdausi's Shahnamah in India. The final lecture was delivered by Dr. Sailendra Bhandare on the Satavahanas, The Satavahanas: History, Trade and Coinage. The 2017 lectures were delivered by different scholars. In Mumbai and Hyderabad, the lecturer was Dr. Pushkar Sohoni of the Humanities and Social Sciences Faculty of the Indian Institute of Science Education and Research, Pune, Maharashtra. In Mumbai, he presented Temple and Mosque: Reading Regional Construction Practices, and Hyderabad he spoke about the Non-issue of Coins: Bahmani Successor States and Coinage. In Bangalore, Dr. George Michell discussed The Mughals in the Deccan: The architecture of Burhanpur, Daulatabad and Aurangabad. In 2017, we had an additional venue - in Delhi, where Dr. Navina Haider presented her research on the Kitab-i Nauras composed in Bijapur under the Adil Shahis. 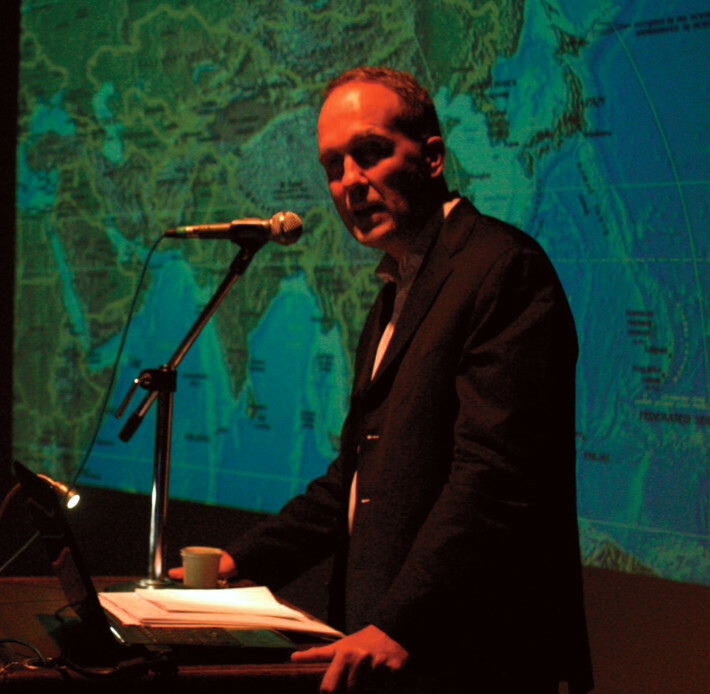 In 2016 Prof. Phillip B. Wagoner of the Wesleyan University, Masachusetts, USA spoke about Cities of Victory: The Afterlife of Chalukya architecture at Vijayanagara and Bijapur regarding the revival tendencies that are evident during the 16th and 17thcenturies in the Deccan and have been considered in the book that he and Richard Eaton co-authored in 2014- Power, Memory, Architecture: Contested Sites on India's Deccan Plateau, 1300-1600. In 2015, it was Prof. Finbarr B. 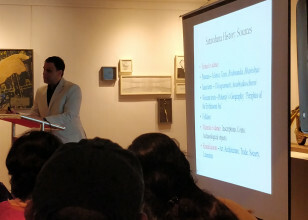 Flood of the Department of Fine Arts of New York University, New York, who introduced a new research subject pertaining to the Deccani Art Across the Ocean: Hoysalas, Kadambas and Medieval Ethiopia.